Blocking Peptide Zu diesem Produkt passt das Blocking Peptide ABIN984674. 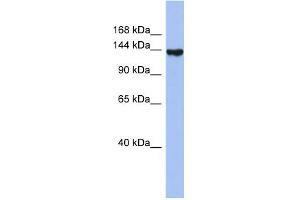 Produktmerkmale This is a rabbit polyclonal antibody against SYNJ2. It was validated on Western Blot using a cell lysate as a positive control. Hintergrund SYNJ2 may play a role in allowing polymerase epsilon to carry out its replication and/or repair function.